À la Carte Menu, El Oceano Beachfront Restaurant, Mijas Costa, Spain. À la Carte Menu at El Oceano Beachfront Restaurant. The perfect menu for the perfect evening of dining, entertainment and fun at the Costa del Sol’s finest beach restaurant! Our chefs are continually sourcing the finest ingredients, both locally and from further afield, to bring you a truly mouth-watering menu. Available every day and every evening, our A la Carte Menu is a mouthwatering selection of only the freshest, especially selected ingredients. Our Head Chef takes pride in his creations and rightly so! A inviting menu of beautifully prepared seafood dishes, prime steaks cooked ‘al gusto’ (to your liking) plus a whole lot more. Lunch or evening meal, let our À la Carte Menu take you away on a outstanding culinary journey!! 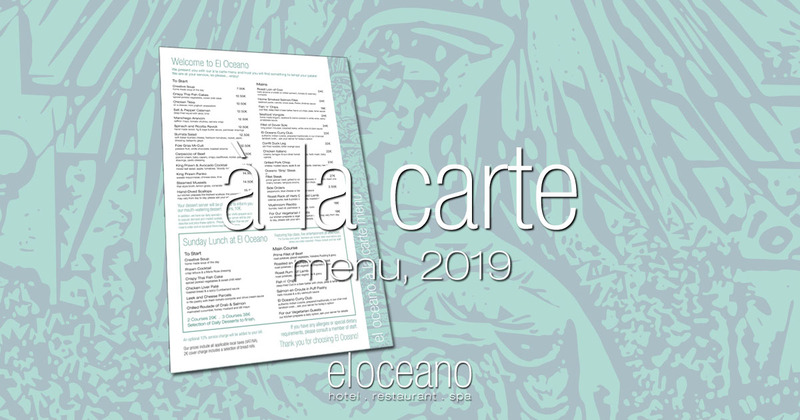 So please, discerning guest, take a look at the À la Carte Menu from El Oceano Restaurant. our kitchen prepares the freshest scallops; the presentation of which may vary from day to day... please ask your server for today’s option. our kitchen prepares a vegetarian option which may vary from day to day, please ask your server for details. Our chefs are continually sourcing the finest ingredients, both locally and from further afield, to bring you a truly mouth-watering menu. You will always find something interesting on the menu. From delicate, palate-fresher starters to classic steaks and beautiful culinary creations in lamb, duck and chicken, plus of course, many vegetarian options not mentioned on the menu, but make sure to let Reception know when you book and our kitchen will create something to blow your socks off! We take our food seriously. 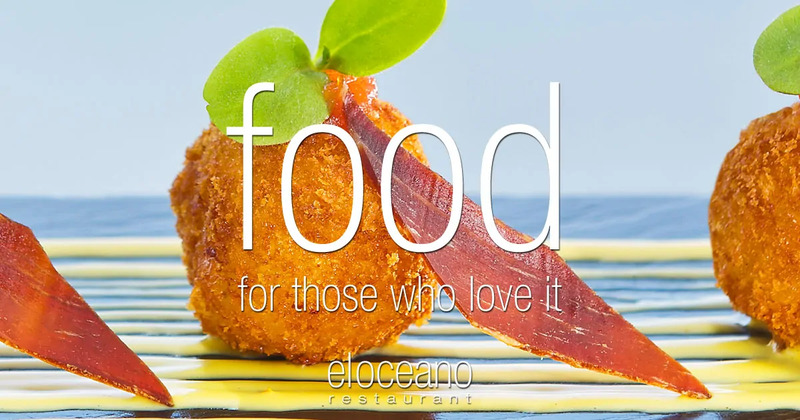 If you think yourself a ‘foodie’, we’re sure you’ll like El Oceano Restaurant. There is nowhere like El Oceano. Right on the water’s edge, the restaurant boasts one of the finest dining experiences on Mijas Costa in Spain. Find our restaurant between Marbella and La Cala de Mijas on Miajs Costa. We offer three dining areas, two indoors and one – the Waterfront Terrace – outside, close to the pool bar. All dining areas offer stunning sea views, many tables having views of the north African coastline. Our menus are second to none. We care about what we serve and we know our clients appreciate that! Impeccable selections of only the freshest ingredients, put together by artisan chefs and served by the most professional, friendly servers. Our A la Carte menu is available every day and every evening, including Sundays.